St Kitts real estate, property for rent in St Kitts and Nevis. 2 bedroom 2 bathroom air-conditioned fully furnished villa at Sealofts On The Beach in Frigate Bay. Amenities include swimming pool, gazebos, barbecue area, free wireless internet service and direct access to Atlantic beach. Sealofts On The Beach is adjacent to the Marriott Resort and directly across the Royal St Kitts Golf Course. 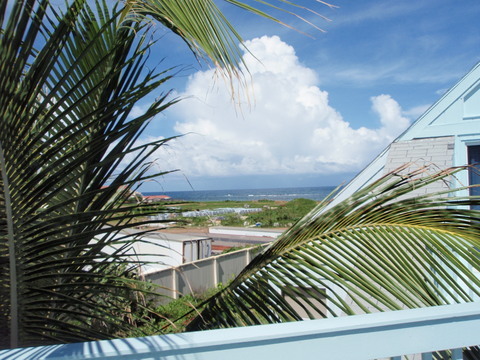 Visit our "St Kitts Vacation Rentals" page for additional details and photos. ABSOLUTELY NO PETS ALLOWED. 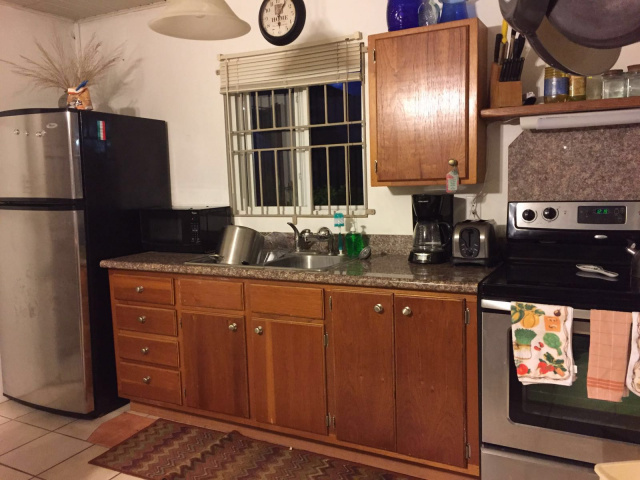 Tenant is responsible for payment of all utilities, except water and wireless internet. 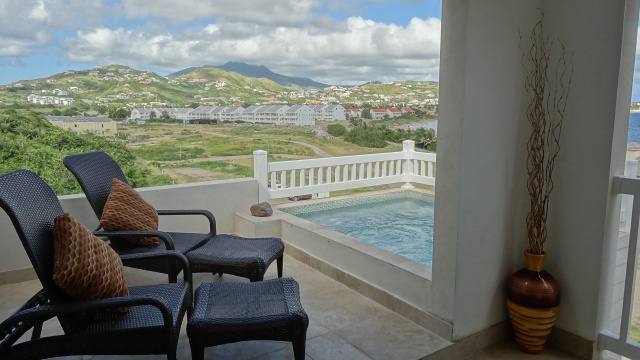 2 bedroom 2.5 bath exquisitely furnished air-conditioned villa with private plunge pool and AWESOME oceanview for rent at Ocean's Edge resort in Frigate Bay, St Kitts. This luxurious villa comes fully equipped with dishwasher, microwave, washer, dryer, cable tv, etc. Tenants are required to park their vehicles in the parking lot and use golf carts (provided by the resort) for direct access to units. Oversized 1 bedroom condo for rent in the vicinity of the Marriott resort. This condo is elegantly furnished and comes fully equipped with queen size sleep sofa, cable tv, in-unit washer/dryer, AC in bedroom, ceiling fans in living area, microwave, coffee maker, etc. Amenities include swimming pool, barbecue area and direct access to Atlantic beach. .
One bedroom 1 bath fully furnished and fully air-conditioned condo for rent, just a few doors away from the Marriott Resort in Frigate Bay. This condo is fully equipped for your short or long term needs. Amenities include common swimming pool, common laundry, barbecue area and lush tropical garden. 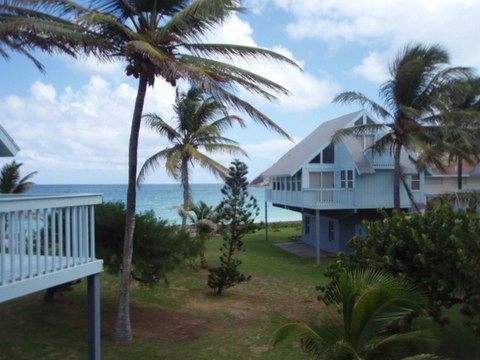 3 bedroom 3 bath air-conditioned STANDALONE villa with wraparound porch situated in Frigate Bay. Amenities include swimming pool, gazebos, barbecue area, lush tropical garden and direct access to the Atlantic beach. This spacious villa is fully-furnished and offers a view of the ocean from the master bedroom along with views of the Frigate Bay area. Fully furnished and fully air-conditioned villa for rent on Zenway Boulevard in Frigate Bay. This villa is equipped with washer, dryer, cable tv, microwave, etc. 1 bedroom fully furnished Executive condo for rent in Frigate Bay, just a few doors away from the Marriott resort. This unit is equipped with full size major appliances, LCD tv, microwave, etc. This property offers common laundry facility, swimming pool, barbecue area and direct access to the Atlantic beach. Long term rent: "SORRY, RENTED"
Three bedroom condo available for rent at St Christopher club. This fully-furnished and fully air-conditioned condo comes equipped with dishwasher, cable tv, microwave, washer/dryer, etc. The property offers tennis courts and a spectacular swimming pool and pool room for use by owners and guests.